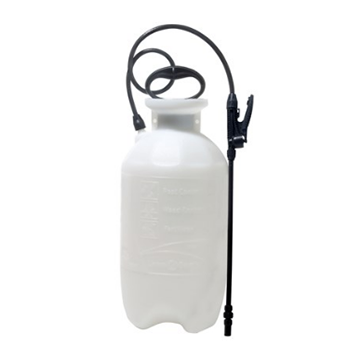 Chapin Sure-Spray® 2 Gallon Lawn and Garden Sprayer. The Chapin two gallon lawn and garden sprayer is easy to maneuver and is perfect for a wide variety of tasks, such as weed control, pest control, and fertilizers. 12" brass wand with a 3 inch funnel. The one gallon sprayer has a 25 foot max spray stream.